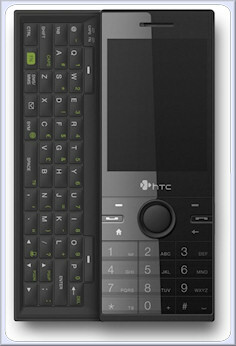 I want an HTC S743! It’s a phone first, PDA / email device second which is exactly what I want. I really wish AT&T would pick this device up. Looks like it will be north of $600 unsubsidized at Best Buy, CDW, etc. Bleh. I like this phone better than the Xperia X1 I have had my eyes on for a while. After almost two weeks of use, I am sending the AT&T Tilt back to our AT&T Account Rep who I had borrowed it from. Much to my surprise, I really didn’t like the phone. While I really like the slide out keyboard and even though the phone is on the heavy side, ultimately it was Windows Mobile Pro that turned me off. I also could not get my Jawbone headset to pair with it, not sure why that was an issue since I haven’t had a problem with it pairing with two or three other phones. IMNSHO Window Mobile Pro really is a PDA first, mobile phone second usage model. It is simply too hard to use with one hand to make it a viable solution for me. I actually have reverted back to my old standby AudioVox SMT5600 which, while an ancient phone, simply works. It is showing it’s age though, some of the buttons are getting a little stickly. I hope the Touch Flow interface which HTC has on their newer phones addresses this problem. One of the features which I really like about Windows Mobile Standard is the ability to quickly find a contact simply by starting to enter a name or phone number. The possible choices are quickly narrowed down and it is easy to dial the default contact number or show all of the numbers and select one. This same usage model is a PITA with Windows Mobile Pro and with the Tilt, really requires using the stylus unless you have a long fingernail to use instead. It seems like most of the new Windows Mobile phones are based on the Pro version instead of the Standard version. I’d love a phone like the HTC S740 but it doesn’t appear that AT&T will offer it. I am trying to keep my options open by getting my Pantech Duo repaired but it has been several weeks since I sent it to RMS Logistics and I haven’t heard a peep out of the repair center. Guess I ought to check into that.